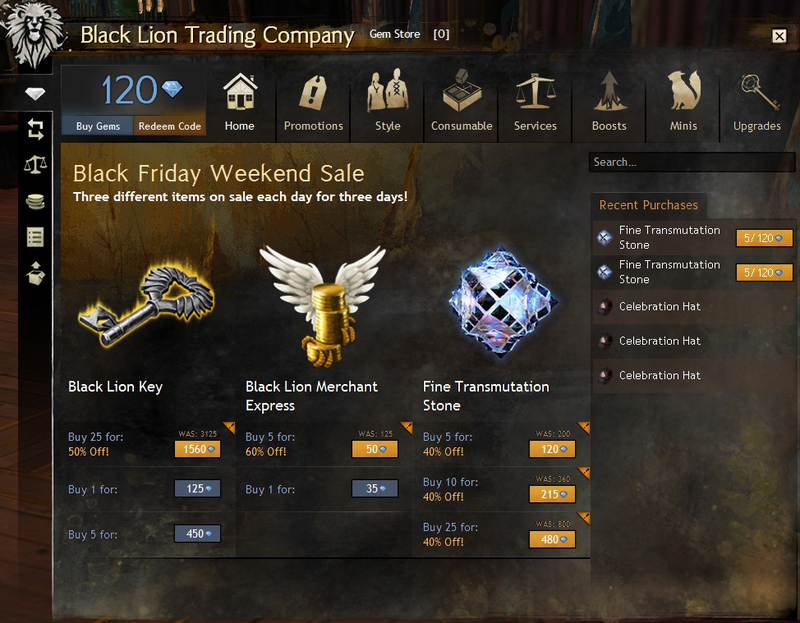 The Black Lion Trading Company has an interesting sale. Three different items each day. You have to log in to see it though. I’ve already bought some Fine Transmutation Stones. The price of gems is pretty high right now, but this sale almost offsets it completely. Nothing ‘Black Friday’ specific so far on Origin, and no announcements on their website about the Cartel market either. Just $12 for a digital download. If you want a physical copy, it’s just $19.99 and free shipping with any purchase of $39 or more. It is now $19.99, but the premium expansion is just $29.99. Still beats Amazon.com’s prices. Just a regular champion & skin sale. Nothing ‘Black Friday’ specific so far. TURKEYDAY – Bonus code for one free day of premium access. A couple of these are affiliate links. As always though, it will never affect your purchase price. Feel free to post the best deals you find on any games in the comments below.